There is a place that I very much enjoy returning to, every opportunity I get. 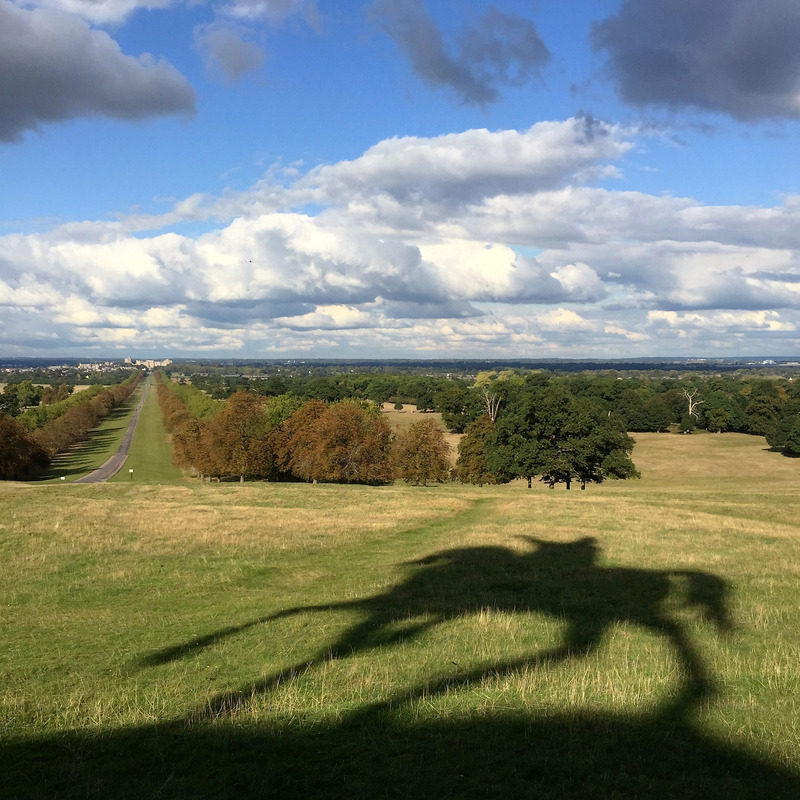 This is Windsor Great Park which is one of the biggest landscaped gardens in the country. Whilst I haven’t yet taken a group there yet, it is my great desire that one day I can show off the beauty of this place to a group. 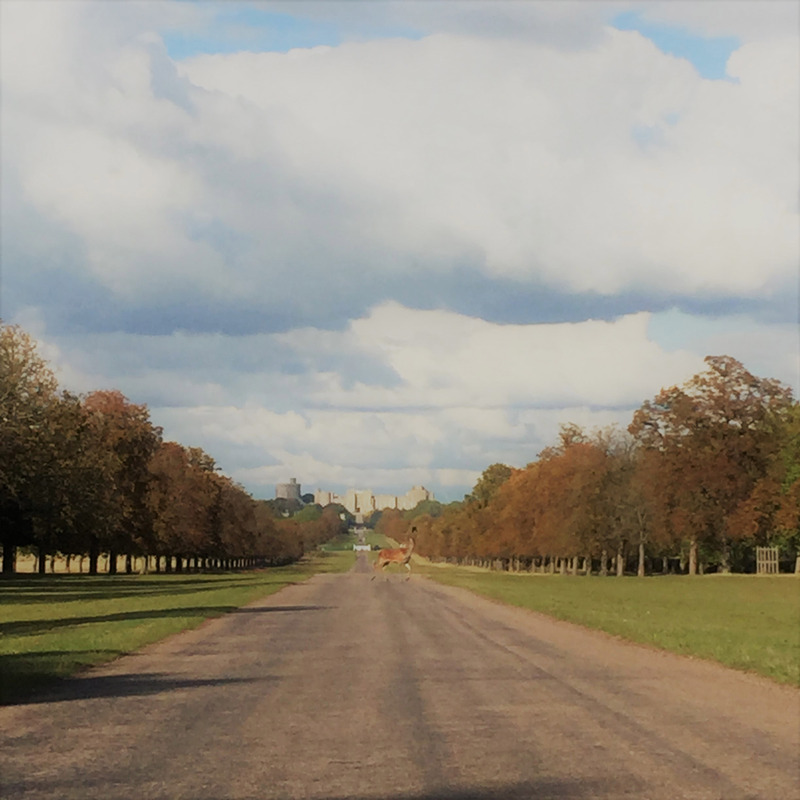 It was William the Conqueror who, on seeing the beauty of the then Windsor Forest, decided to build a royal residence next to it. The walls of modern time Windsor Castle are the same as built by William in the 13th century and the grounds of the forest were his hunting grounds (deer, in particular, have been kept on the grounds for many centuries). His decision marked the start of a long term royal romance with the landscape of the area which was added to, changed and improved over the years making it into what we nowadays call Windsor Great Park. Charles II (otherwise known as the Merry Monarch after the austerity of the Cromwellian interregnum) had a love for French architecture which later influenced him to add to the Windsor landscape by creating a 3 miles long avenue lined with trees, leading from the gate of the Castle into the Great Park. The avenue ends with a statue of George III (popularly known as Farmer George for his interest in rural affairs, science and industry), commissioned by his son George IV. 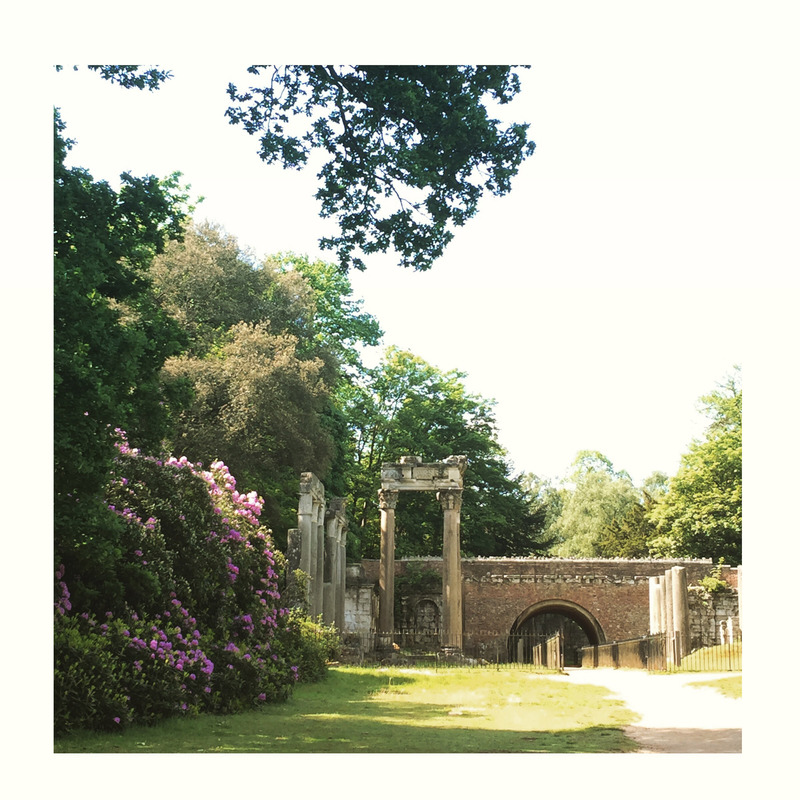 George III was particularly fond of Windsor where he spent the final years of his life in seclusion, plagued by illness, taking long walks amongst the trees in the Great Park. In the 1700s the then Duke of Cumberland set about creating the largest man-made lake in the country – Virginia Water. He enlisted the help of architect Henry Flitcroft. 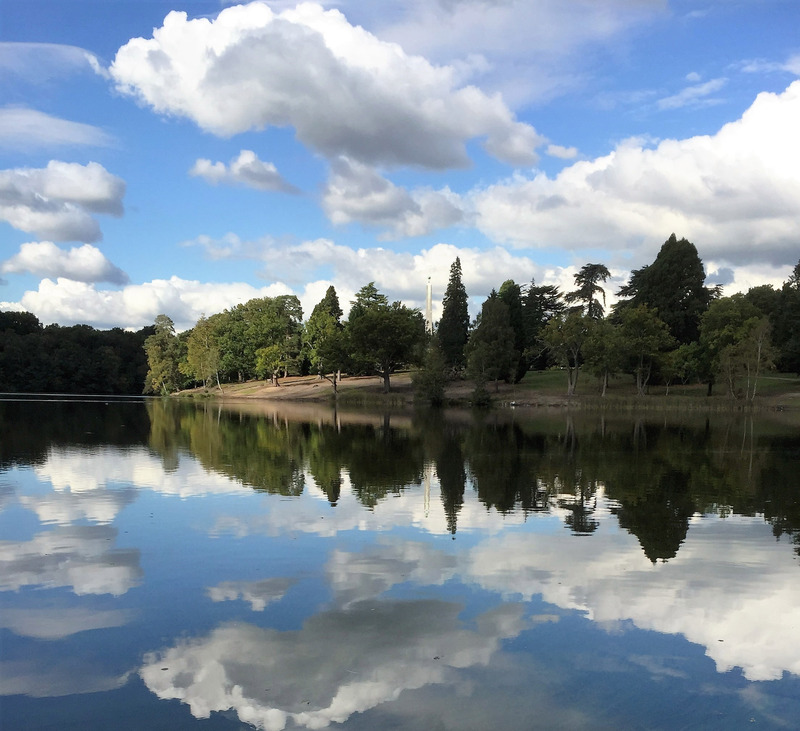 Images of the lake at the time tell tales of merriment and elegance – the lake was adorned with follies, Turkish tents (introduced by George IV), an ornamental waterfall, a Chinese tea house, an oriental style fishing temple and a beautiful floating mandarin yacht. 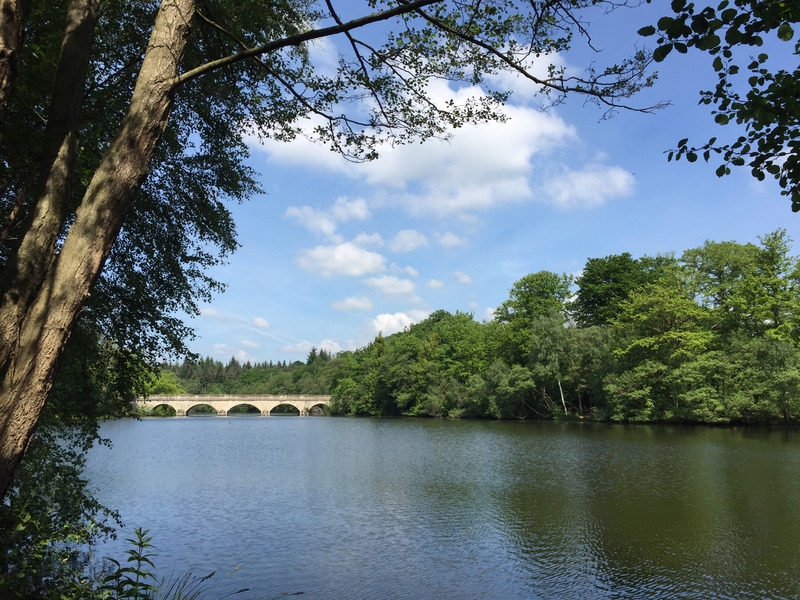 Also during the reign of George IV the Lake was further developed with the addition of the Five Arch Bridge which affords marvellous views across the lake and the installation of the Leptis Magna Roman Ruins. It is no wonder that the shores of the lake were favourite entertaining grounds for Queen Victoria and Prince Albert. As a little girl Queen Victoria enjoyed many visits and picnics on the shores of Virgina Water, a place she very much loved. In fact, Windsor was one of her favourite residences. After her marriage with Prince Albert, he threw himself into projects meant to improve the lives of the people living and working at Windsor on the Crown Estate – he built cottages and established the Royal School, all of which are still very much in use nowadays. In more modern times the landscape of the Great Park was further enhanced with additions such as the Savill Gardens, one of England’s biggest ornamental and exotic gardens, Smith’s Lawn, the biggest area devoted to polo in Europe, a 100 feet high totem pole which was a gift to HM the Queen from native people of the northern part of Vancouver Island and statues of Prince Albert and HM the Queen. 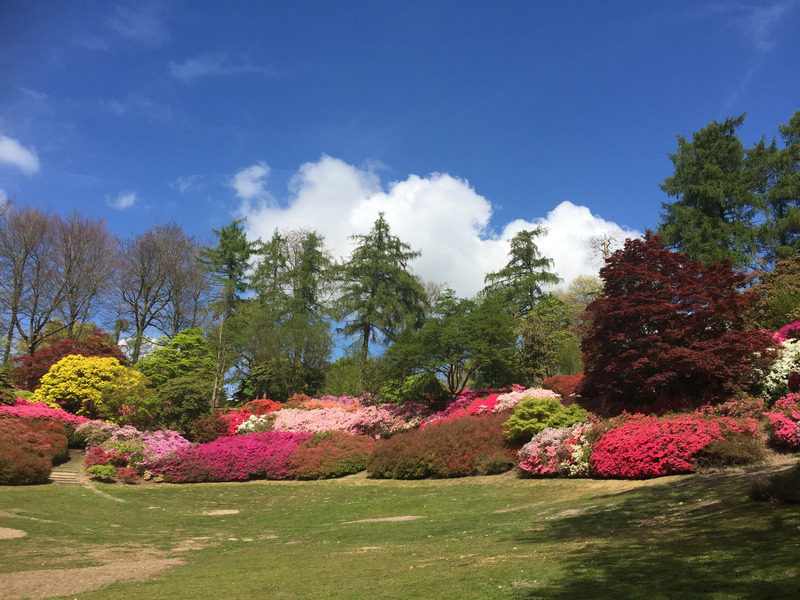 While a visit to Windsor Great Park is a must for anyone interested in history and royalty alongside landscape gardening and rambling, do remember that the grounds are extensive (aprox 4800 acres) and so you will need to be reasonably fit and well if you are hoping to see most of it in just one day. Only the stroll around Virginia Water Lake is likely to take between 1.5 – 2 hours and you should ideally allocate a similar amount of time to see the Savill Garden. For enquiries about a walking tour of Windsor Great Park (in part or in full) or other Windsor based guided walking tours please get in touch using the Contact details on this site.